Born in Kansas City, Kansas, Joleen was a graduate of Shawnee Mission High School, earned a Bachelor’s Degree in Elementary Education and English from the University of Missouri and received a Master’s Degree in Reading Education from Rhode Island College. In 1965, Joleen met and married her husband of 52 years Jack Vatcher (East Providence, RI) while he was in Kansas and in the service. A short time later they moved to Seekonk, Ma and Joleen started working as an elementary school teacher in the East Providence School system. She was the first TITLE 1 reading teacher in East Providence and continued as a Reading Specialist until she retired in 1997. 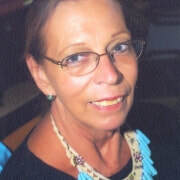 Joleen served as the President of the East Bay Retired Teachers Association and on the Board of Directors for the Rhode Island Retired Teachers Association. For over 40 years, Joleen was also the Sunshine Committee for the East Providence Teacher Association, where she would send plants and cards to those teachers who were sick or suffering a family loss. She had a passion for her community, which translated into years of volunteer service. Joleen always put the need of others before her own. In July 2018, Joleen was the recipient of the 2018 Sharon St. Hilaire Public Service Award. She was the past President and Secretary of the Friends of the Seekonk Public Library, a Registrar for the Town of Seekonk and worked at the polls and town meetings. For many years, Joleen did outreach for the Barrington Baptist Church to people in the local nursing homes and homebound community persons. She also taught CPR and First Aid for the American Red Cross in Providence for over 15 years, was on the Board of Directors of Big Brothers of Rhode Island and for over 20 years, Joleen and her husband volunteered at the Providence Performing Arts Center as Greeter Coordinators. Music was one of the many great joys in Joleen’s life. When she retired from teaching, she auditioned as a flutist with the Rhode Island Wind Ensemble and became a proud member of the group for over 20 years. She also served on the Wind Ensemble’s Board of Directors. In her spare time, Joleen was an avid reader, enjoyed travelling the world with her husband, and watching her garden flourish. Joleen is survived by her husband, Jack Vatcher; daughter, Jaclyn and her husband Tyler Nutter (Maine); and granddaughter Lillian Grace Lorena Nutter. She is also survived by her brother Jack Meyers and his wife Jan (Kansas). Joleen was a woman of strong faith. She was well-known and respected in the local community. ​She was a very caring and compassionate person.